Alex Jones With Hagmann & Hagmann — Obama’s Seditious And Treasonous Activities! Home Editorials Alex Jones With Hagmann & Hagmann — Obama’s Seditious And Treasonous Activities! 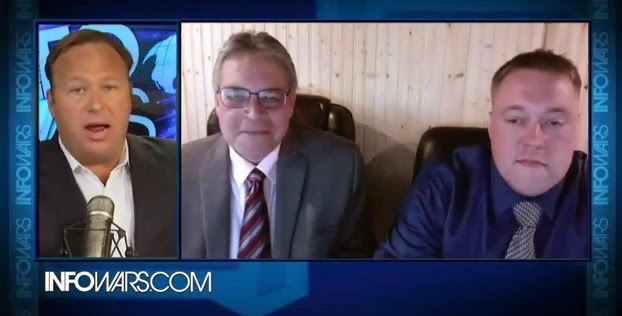 Intelligence experts Doug Hagmann and Joe Hagmann join Alex Jones for a blockbuster show with Alex, Doug and Joe discussing the overwhelming corruption and fraud that is becoming more frequently seen in all levels of government. Other topics include but are not limited to Ukraine, the latest news on the BLM/Bundy affair, the N.Y. State Division of Homeland Security treating preppers like terrorists, governments attempt to insert themselves in every aspect of Americans’ lives, Agenda 21, and new information on Benghazi which shows Barack Obama’s “seditious and treasonous” activities. The Hagmann’s join the show at approximately the 1:39:05 mark in the video below.